I was listening a few days ago and the song "Holding Out For a a Hero" by Bonnie Tyler came on the radio. As I listened to it, I realized that the song could have fit into dozens of movies at crucial points in said movies. (It was actually a part of the movie "Footloose"). My first thought was that it would have fit in the movie "Rocky", the scene where he is jogging in downtown Philly. What movies make you want to stand up and cheer? It could be a downtrodden everyman who overcomes the odds. It could be a man (or woman) who challenges the prevailing ethos and champions right over wrong. It could even be a idealistic "Joe Blow" who got inadvertently bit by a radioactive spider and uses his new found abilities to fight crime and injustice. 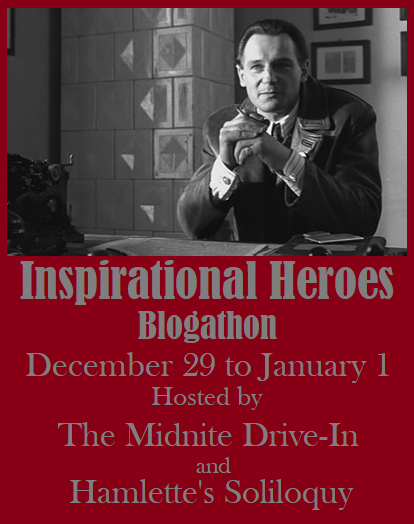 The object here is to delve into heroes who inspire you. And there is no limit here. Inspiration is a unique thing that is subjective. If it inspires you, it inspires you, and no one can argue with your personal feelings. So pick a movie that inspires you and write about it. 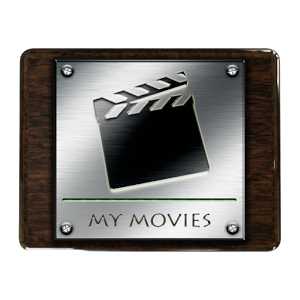 If you need spark to your inspiration here is a list of movies you can use, but you are definitely not limited to just these. 1. We would prefer a variety of movies. As such, we would like you to limit multiple choices for the same movie, so only one person per movie. However, if one person chooses a movie, that does not mean another couldn't choose an actor in said movie and write about him or her. 2. 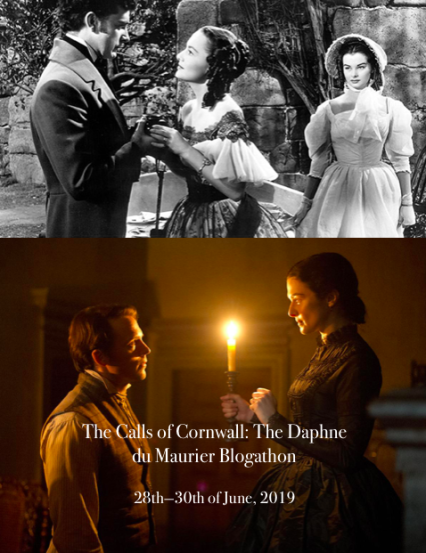 Please choose one of the banners below for your blog. Hamlette worked made them and it would be a shame to see them go to waste. 3. 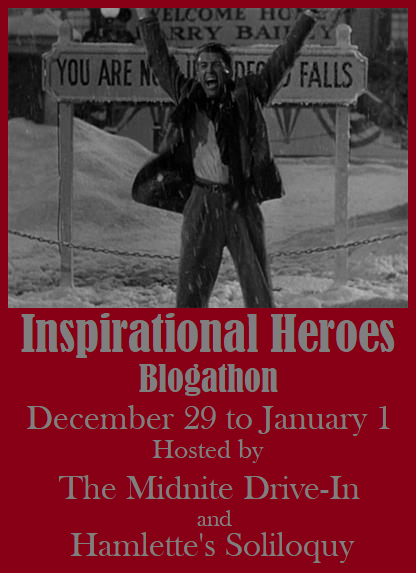 The blogathon runs from Dec 29th to Jan 1st. But since this is a holiday and you might have other plans, early submissions are copacetic. Just be aware that they won't be linked until the blogathon actually starts. But can I call It's a Wonderful Life? Have been wanting to write about that one forever! Thanks! 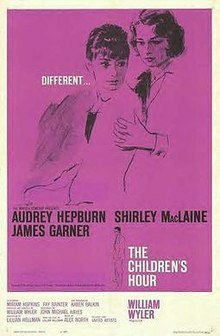 I've loved that movie since I was 15 and saw it in the theater -- the audience literally stood up and clapped at the end. I can't wait to write about it! I've added you to the roster on my page, and I'm sure Quiggy will when he's got a minute. Glad you could join us! Got you down for it. 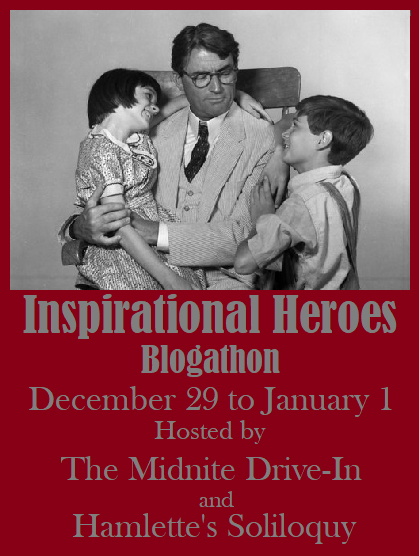 Welcome to the blogathon. In some stores I am eligible for a senior's discount, however I still want to be Torchy Blane when I grow up. The intrepid "girl reporter" will be the subject of my entry. Never heard of her. For that matter I never even heard of the woman that wikipedia says played her... But I added it. Aha! I think you will like Glenda/Torchy once you get to know her. 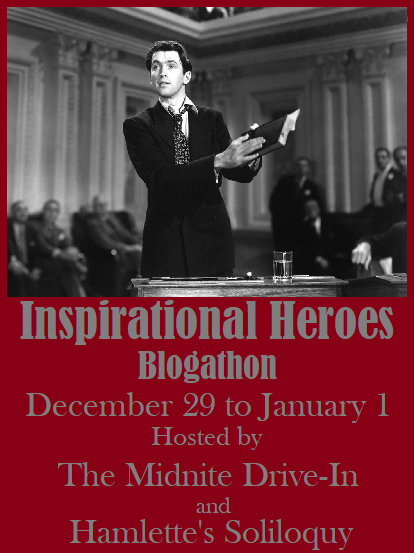 I love this idea for a blogathon! I'd like to write a post about Robin William's character in Good Will Hunting. This is a great idea for a blogathon! Can you sign me up for "The Day the Earth Stood Still"? Thanks! Its a reasonable assumption you mean the original, but I'll ask anyway. You didn't mean the remake did you? 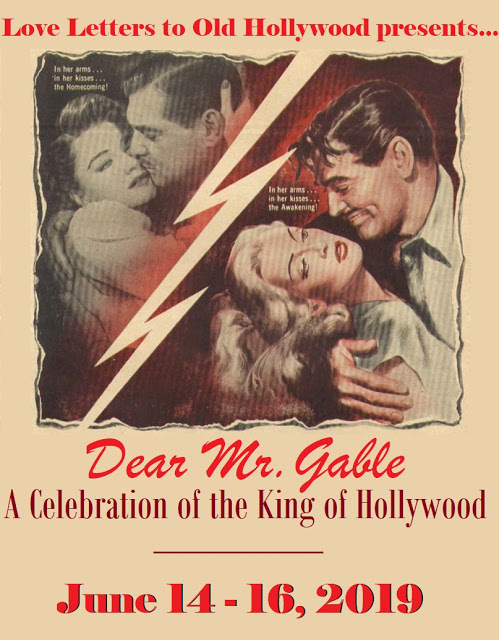 Right – the original 1951 version. (I'd forgotten there was a later version.) Thanks! That's one I've been meaning to watch. I see it on the library shelf all the time, but I haven't picked it up yet. Oh it's very good! :) Btw I was wondering if you'll be interested to participate to my Grace Kelly Blogathon? Unfortunately I won't have time. I'm already swamped for the first two weeks in November. 8 movies! 2 each for three other blogathons plus my November installment of my Bond tribute. I'll try to catch the next one. Hello. I'd like to join this great event and write about JUROR # 8 in Sidney Lumet's 12 ANGRY MEN. Great choice. I particularly liked the remake for TV too, mainly for George C. Scott's performance but also because of the rest of the cast. I'd like to claim Jefferson Smith from Mr. Smith Goes to Washington. You can have it. Thanks for joining. Hello! Well, it was difficult to choose one hero, but I finally made up my mind: I want to write about Boys Town (1938). 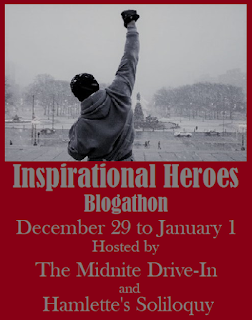 I know you're doing ROCKY for this blogathon, but may I do 2006's ROCKY BALBOA? It's the only ROCKY movie other than the original that I really liked. My computer has been down all weekend. I finally got to get to the library and use theirs. I will add it momentarily. 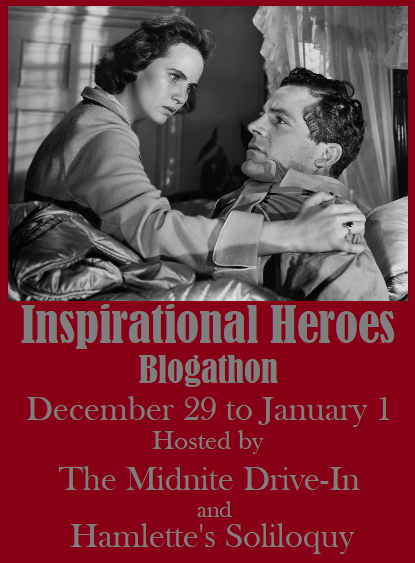 what a great idea for a blogathon. Can I do Rogue One? I might choose another one or two if I have time. I'll get it added Thanks for joining. I'll leave you on just in case you get it fixed. Hope it all works out for you. Thanks. 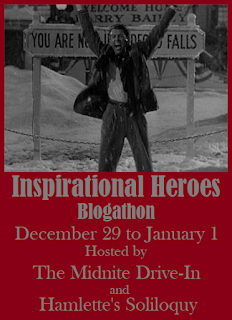 The blogathon goes live tomorrow and I will add yours to the list. Hi Quiggy - here is the link to my post. Thanks again for inviting me!!! Thanks. It will be added in the morning. Great. I was occupied all evening last night, but i'll get it up today. Thanks. Thanks. I'll get it added.